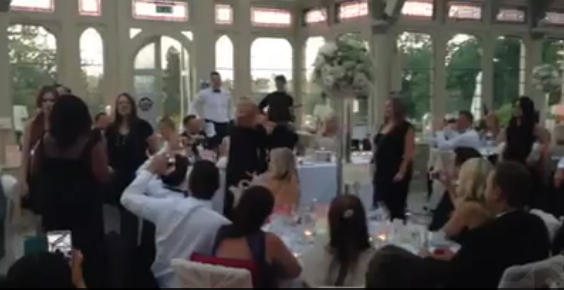 A real-life wedding flash mob choir! Last week I had the amazing honour of being part of a very special surprise for a bride and groom. Joining a unique choir put together by my fabulous friend Vie Watson, we were hired by the very brave best man to spring a musical surprise on his brother and brand new sister-in-law at their amazing wedding reception in Kilworth House, a beautiful stately home in Leicestershire. It was a completely fab experience and a real surprise to the unsuspecting bride and groom!